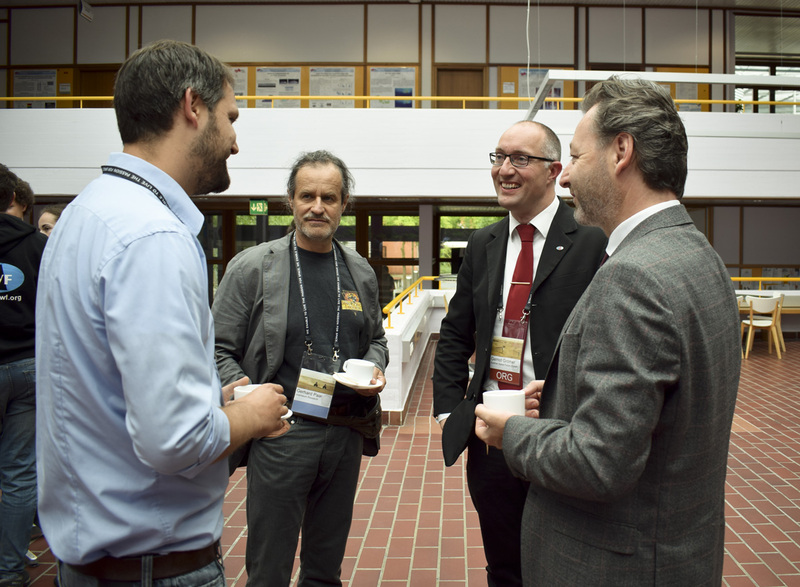 AMADEE-18 Science Workshop: Debating. Analysing. 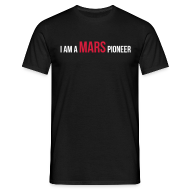 And all for Mars. Posted by Olivia Haider in AMADEE-18, OeWF News. 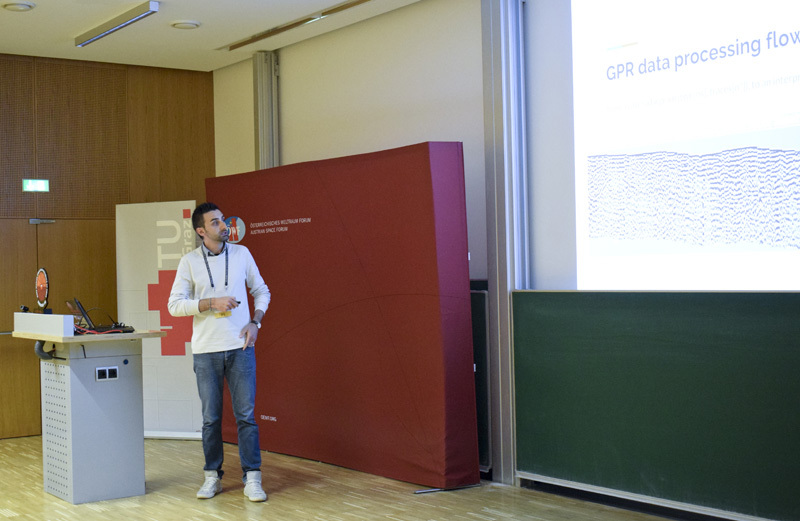 Between 25.- 27th May 2018 researchers gathered for the AMADEE-18 science workshop at the Graz University of Technology. 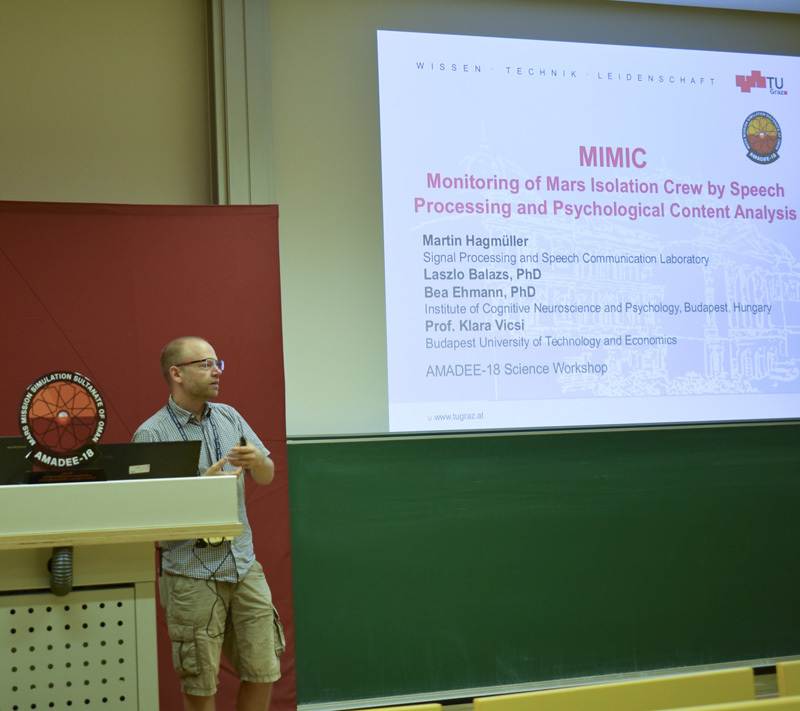 The specialists presented their first scientific results of the AMADEE-18 experiments, discussed lessons learned and how to increase collaboration between various analog researchers. 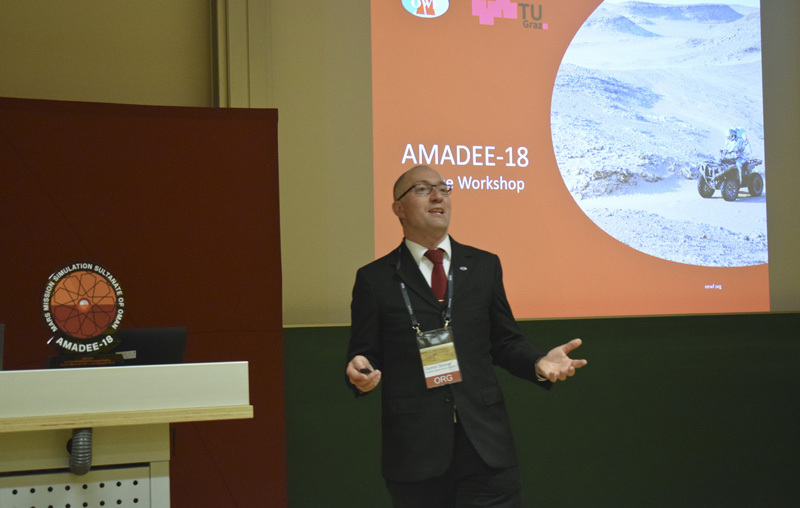 Therefore, not only the AMADEE-18 Principal Investigators (PI’s) held lectures but we also included lectures from various analog institutions around the world like the university of North Dakota spacesuit laboratory, the HI-SEAS mission or the D-MARS analog in Ramon crater. Gerhard Paar, one of Austria’s top specialists on vision based navigation from the Joanneum Research talked about how Mars rovers gain an understanding of their surrounding. His team is contributing scientifically software for the ESA ExoMars rover and the NASA Mars 2020 rover. Interesting detail: the navigation software on ExoMars will not travel with the rover to Mars but will be uploaded later, offering more time to validate the software. One key thing to successful navigation is the calibration of the cameras. 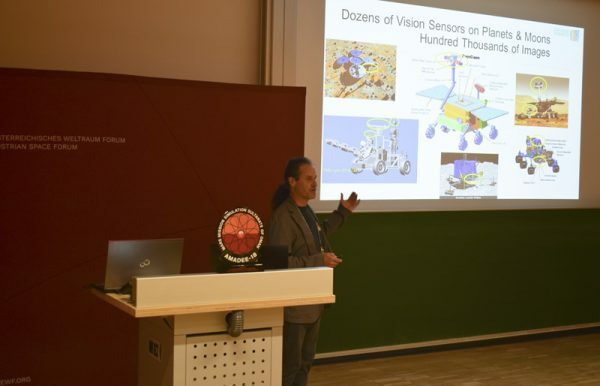 In his talk, Gerhard Paar demonstrated very cool techniques & algorithms to improve images taking by rovers on Mars. Without these techniques our impression from Mars would be much different. Yes. We discovered a hidden wadi. – The AMADEE-18 experiments. ScanMars was a ground penetrating radar, were we acquired a total 1,7 km of radar tracks adding to 93617 individual radar-grams (our analog astronauts probably know now why that felt like really hard work). Various structures were identified including a river bed. Both PI’s are very happy with the data, which according to them is very good and rich. 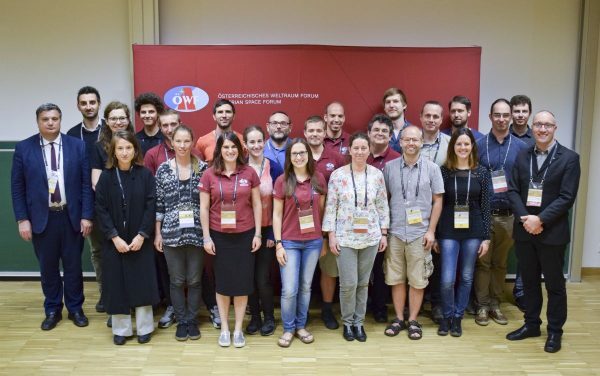 Moreover, they pointed out the positive attitude of the mission teams on Earth and Mars and appreciated very much real time problem solving (e.g. a broken cable was fixed). 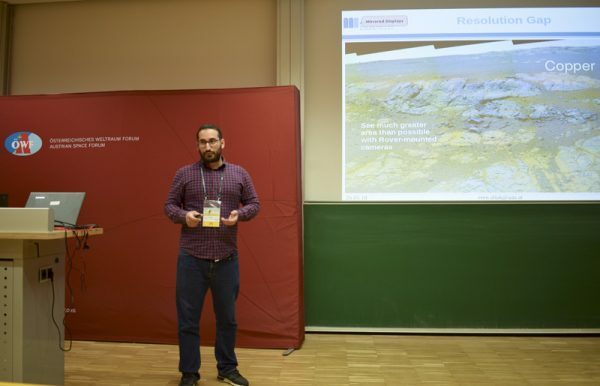 ScanMars will present their results at the European Planetary Science Congress in Berlin in September. The MIMIC team explained us the method they use to analyze the data. During the mission over 10 hours of voice (30 GB) were recorded and are now being post-processed so that afterwards content & voice analyses can start. The scientist look into things like “What topics are talked, how often does a person use I, verbs vs. adjectives usage, negation, sentence structure, articulation – how fast is someone (when a person is tired the speed of voice will slow down) or how harsh is the voice”. The long term goal/vision of the scientists is to build a fully automized multilingual content analysis system with real-time analyses & feedback. Growing under extreme conditions and setting a record. HORTEXTREME, the greenhouse experiment of the Italian Space Agency was also a great success. 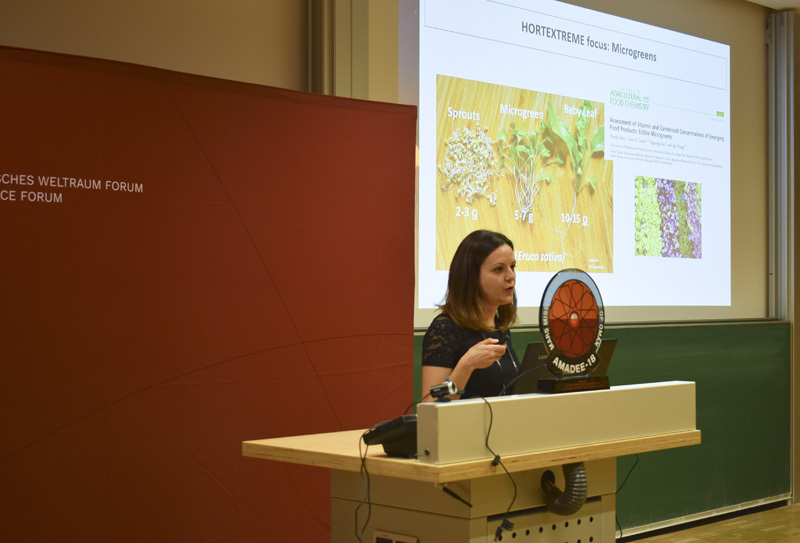 During the simulation phase 4 species were cultivated, one of them (Rambo Radish – the name was not our choice, seriously!) grew best. This is a record exceeding previously tested laboratory conditions. Also other remarkable growth observations were obtained which are yet to be interpreted from the horticultural perspective. Start me up mid-flight and I can still tell you where I am. 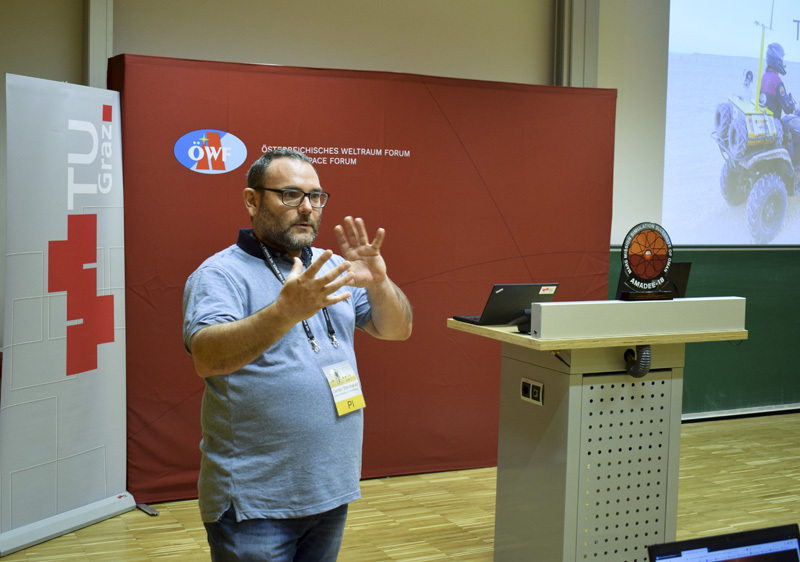 With live links to the Spacesuit lab at the university of North Dakota, Michaela Mussilova a HI-SEAS participants and the DMARS analog in Ramon craters the audience got some exclusive insights into different analogs. The scientific resume: AMADEE-18 got us closer to Mars. Mission accomplished? Towards the end of the workshop, there was a very productive discussion on the process of including the experiment teams into the OeWF missions and what to do better and what the strengths were. Basically, there was also a consensus, that the scientific teams felt that AAMDEE-18 was an important milestone for European analog research. The scientific work is not finished yet, over the next months the results will be published in various peer-reviewed papers as well as presented in different conferences like the SpaceOps conference in France the European Planetary Science Congress in Berlin or the International Astronautical Congress in Bremen. And for all the scientists who just found out about our Mars analog research, we have good news: In our Multi Mission Science data archive many raw data awaits you to be analyzed.